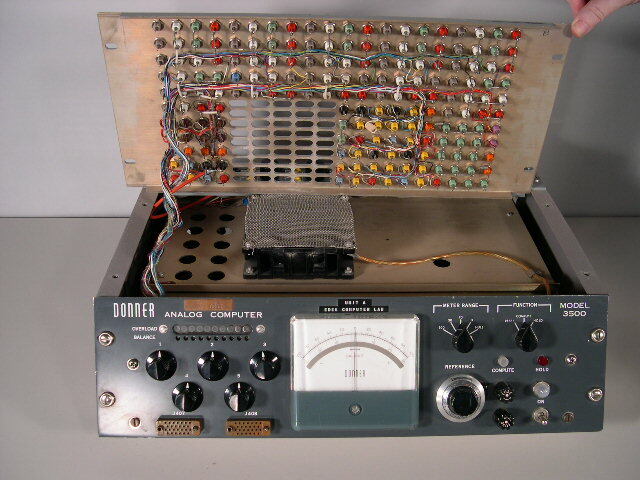 The Computer Church: The Donner Analog Computer Model 3500. 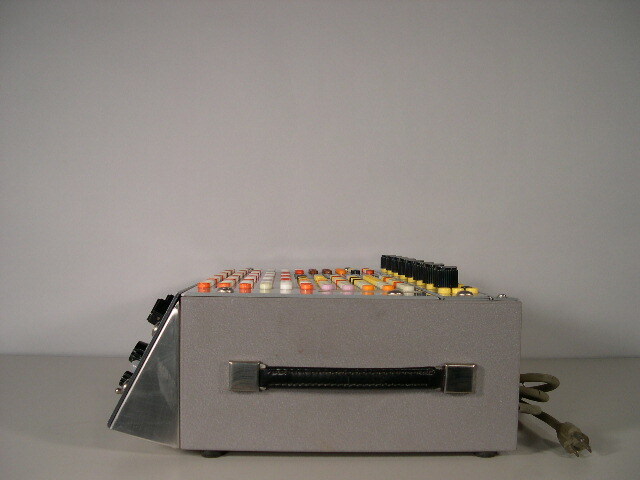 The Model 3500 is a unique portable, analog computer. Weighing just 28 pounds and sporting two leather handle straps (one at each side) the 3500 was designed for use by scientists and engineering designers who could easily move the computer from one place to another. 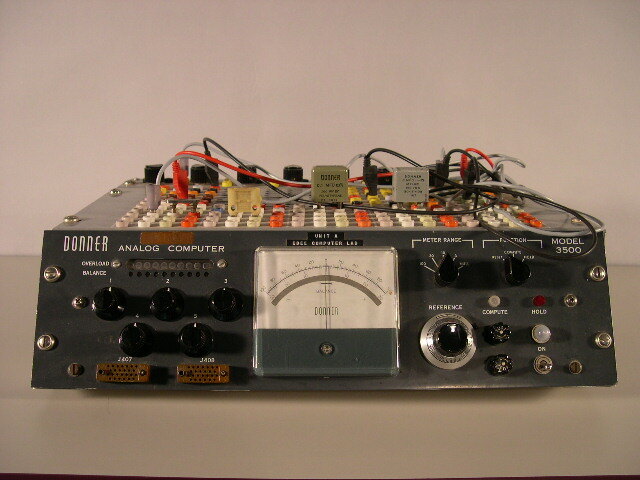 It could be used as a versatile signal generator, data reduction or signal conditioning at test sites, and as a general purpose computer in the classroom, field, or desk. Use for the classroom was convenient with 2 detachable problem boards controlling half the computer. There is a remote control for field testing. It was probably first offered for sale in the late 1950's. 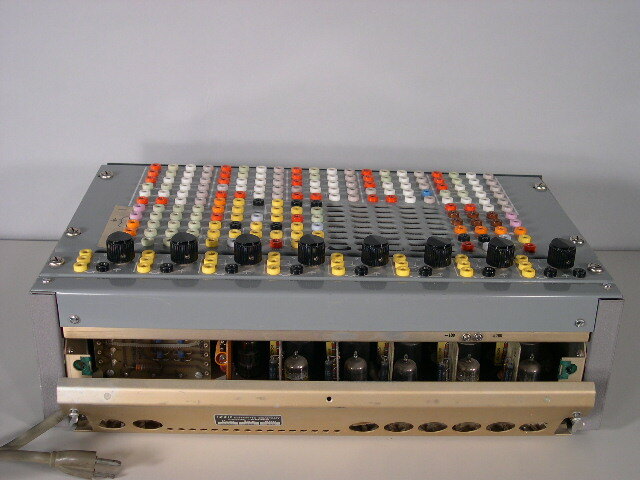 It was designed so that it could be a free-standing computer or it could be reconfigured to be rack mounted. The one in our collection is slightly different from those pictured in the "Instruction Manual Model 3500" in that it has a protruding, angled front control panel. We don't know if this is a standard factory version of the 3500 or a later customization. How did you operate it? Porgramming was done by patchcords. 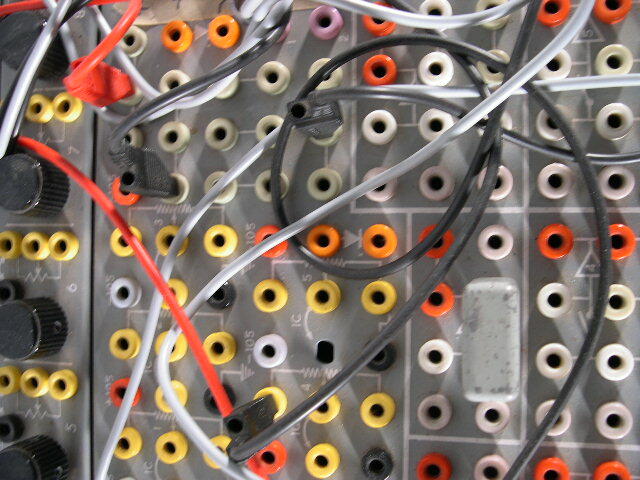 This means that is you wanted to program the analog computer to solve an equation you had to configure the patchcords in just the right way. And if you then wanted to solve another equation...you had to unplug all the patchcords and reconfigure them. Imagine having to use patchcords instead of your keyboard or mouse or touchpad to enter information into your computer. 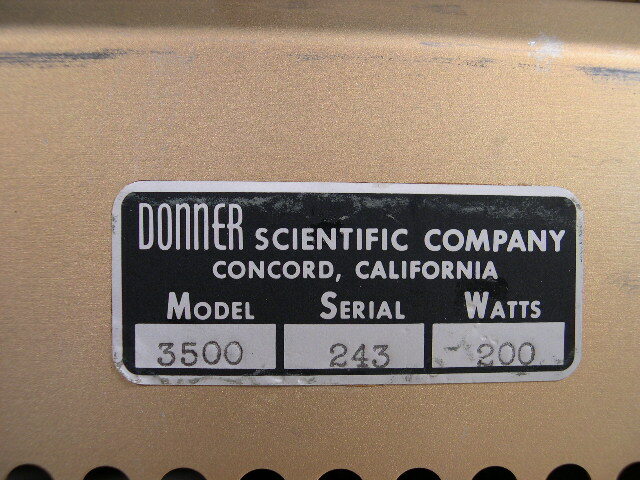 Donner Scientific Company was founded in 1953 in Berkeley, CA by William Rosenberry and was named after Donner Pass. 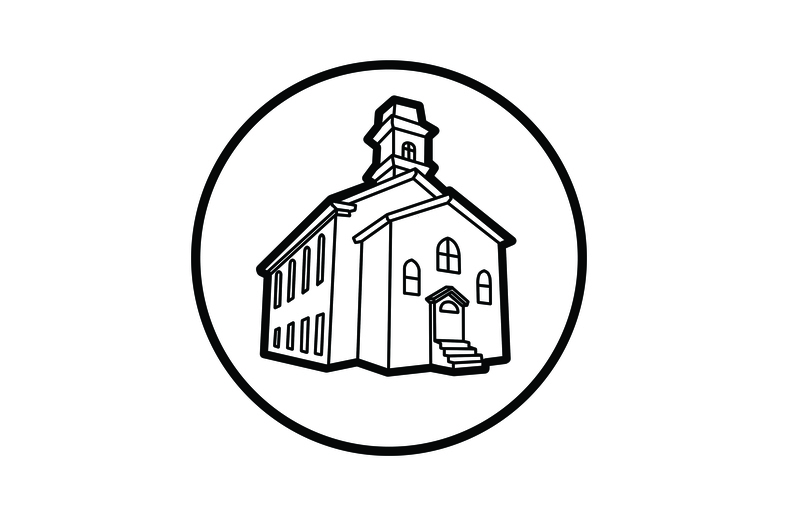 The company moved to Concord, CA in 1954. They began making the Model 30 Analog Computer (a vacuum tube computer) and sold 600 units between 1954 and 1960. 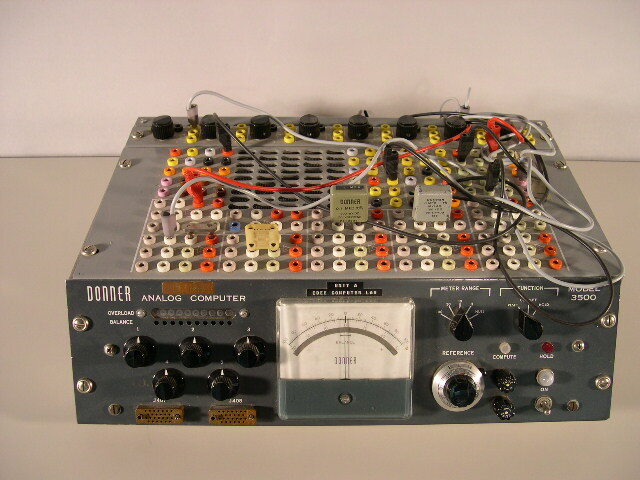 Donner Scientific merged with Systron Corp. to become Systron Donner Corp. on March 31, 1960. Systron Donner is still in existence in the same city. They are called "Systron Donner Interial" and make sensing devices (such as gyroscopes) for all sorts of modern tecnologies such as the Mars Rover (really, they are on Mars! 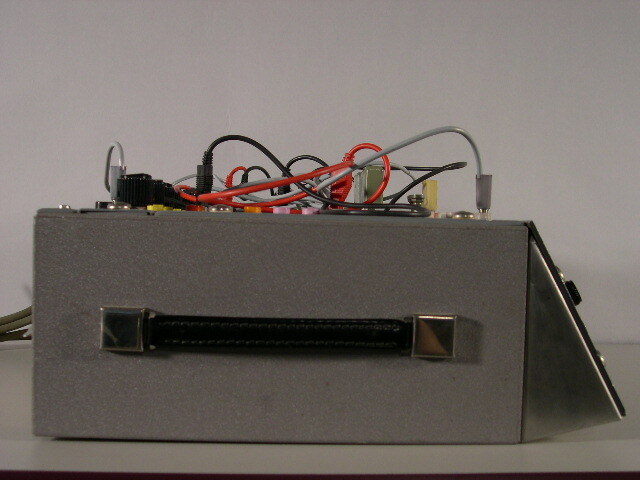 ), military helicoptions, UAVs, torpedoes and robots. 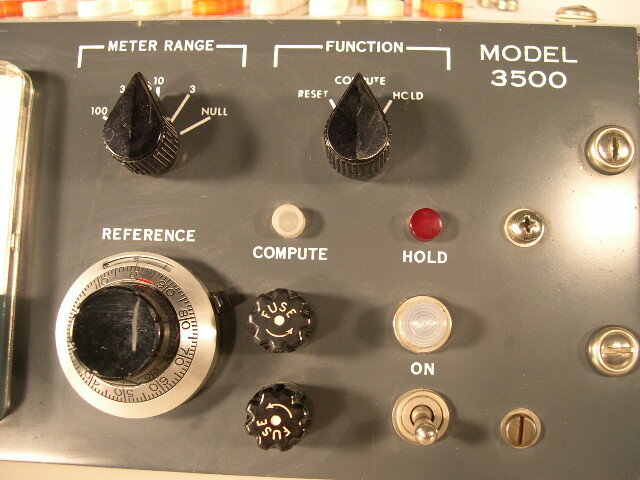 The Donner 3500 was an early item in their extensive analog computer line. 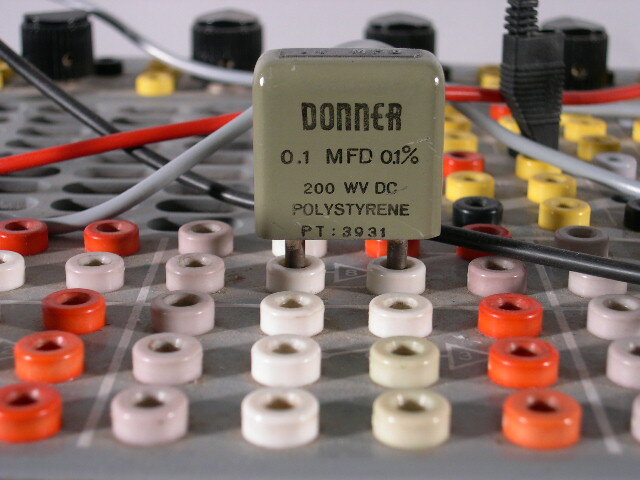 Later, Donner invented solid state chopper stabilized operational amplifiers with an output of plus/minus 100 volts. 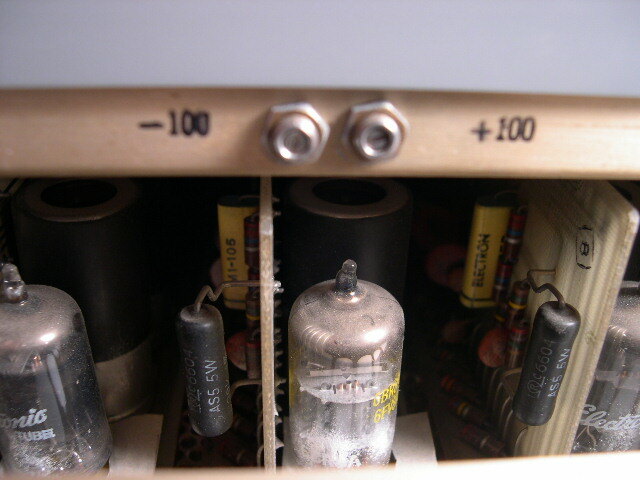 These went into large rack size analog computers with one hundred or more amplifiers. 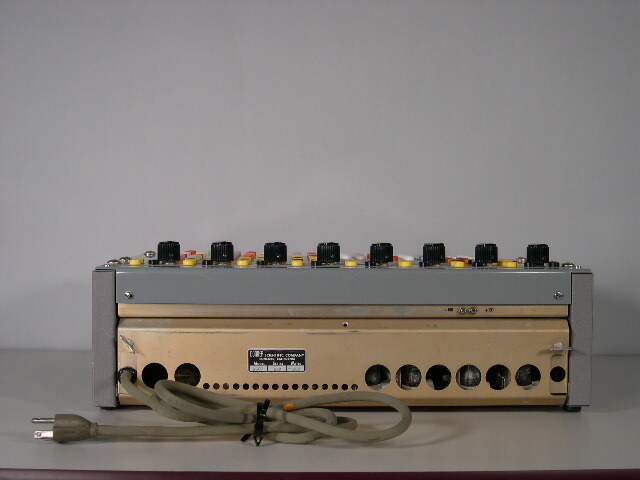 The programming boards were removable modular units so a program could be set up at your desk and the unit plugged into the computer mainframe. Donner was not named after Donner Pass but after the Donner Labratory at U. C. Berkeley. N.B. I was employed by Donner (later Systron-Donner) for 45 years. .